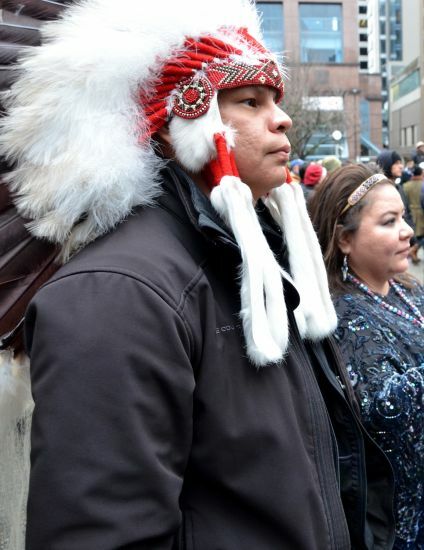 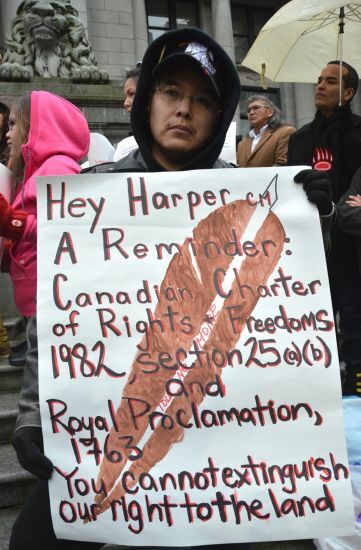 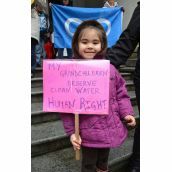 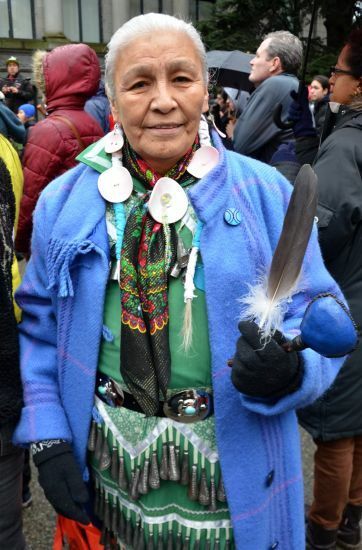 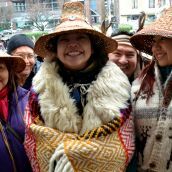 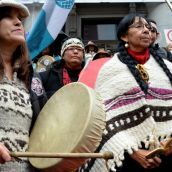 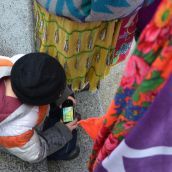 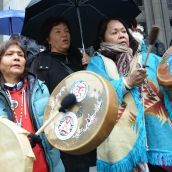 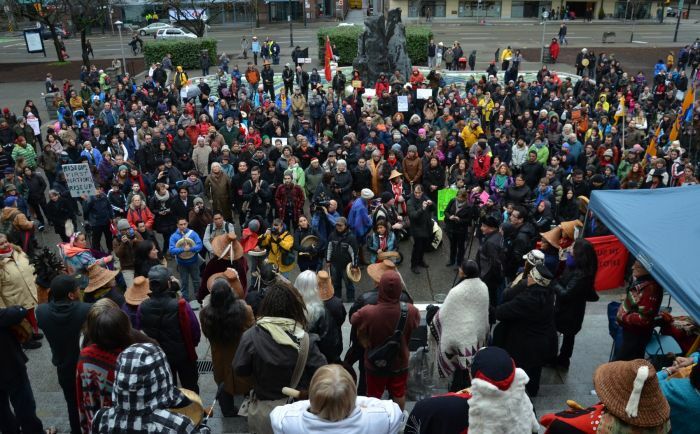 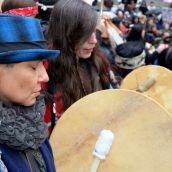 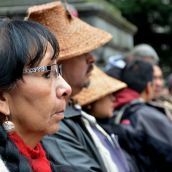 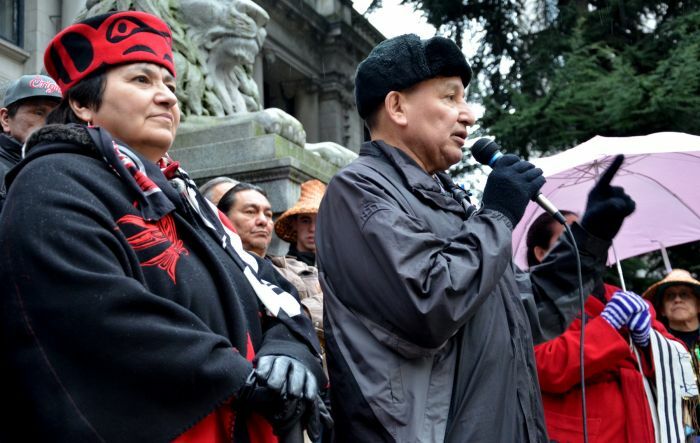 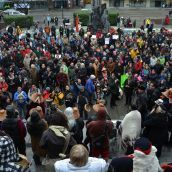 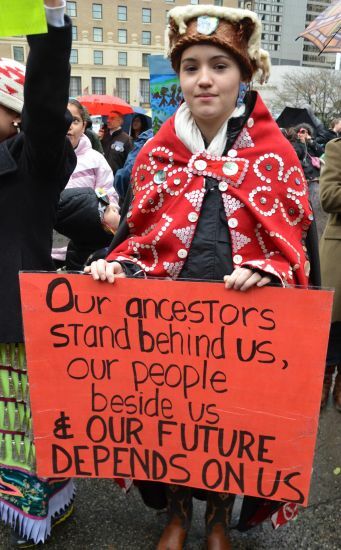 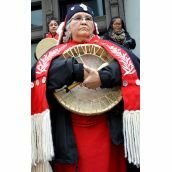 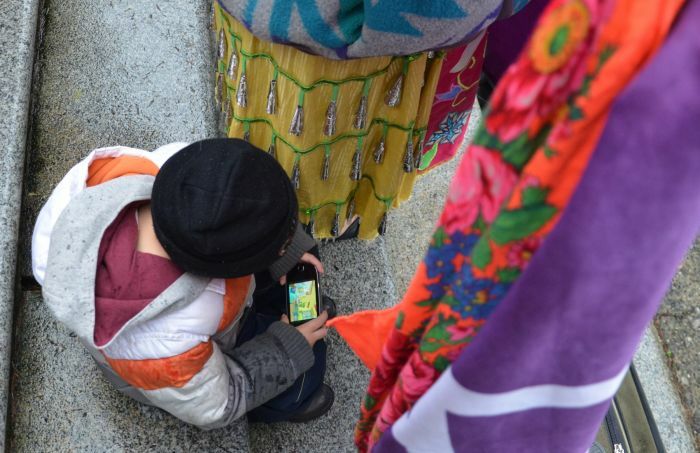 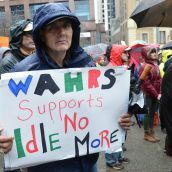 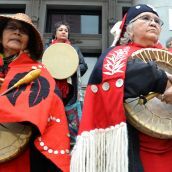 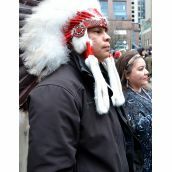 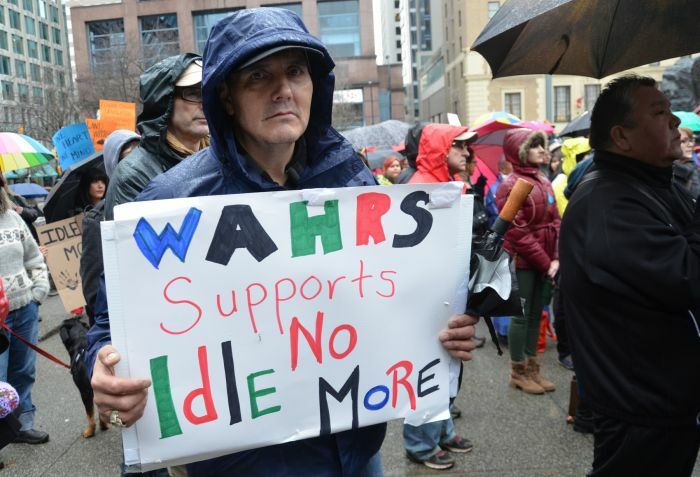 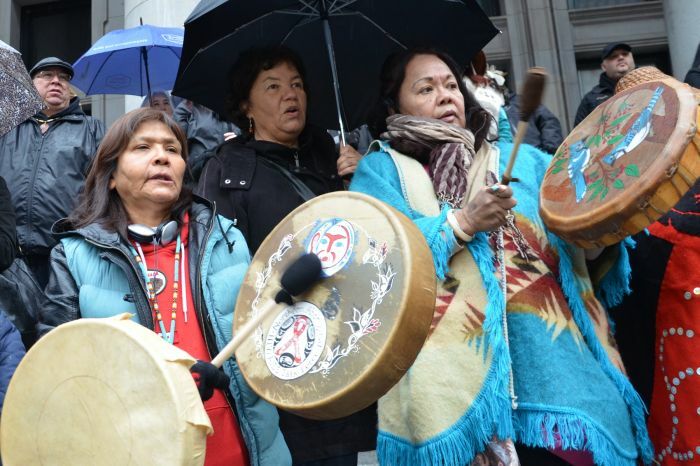 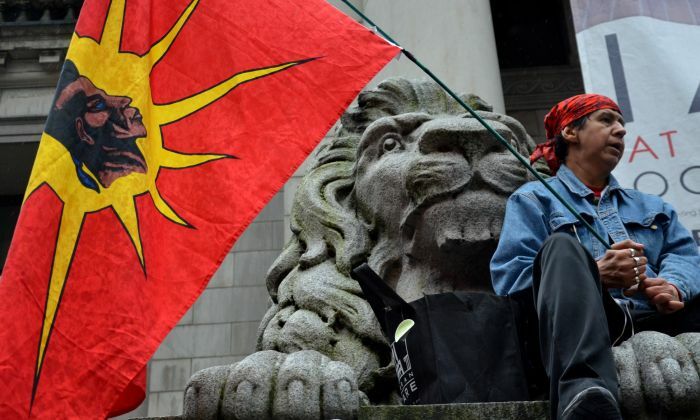 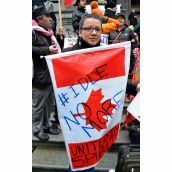 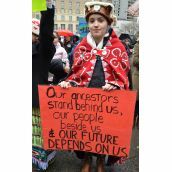 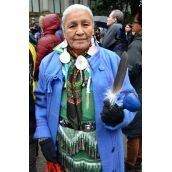 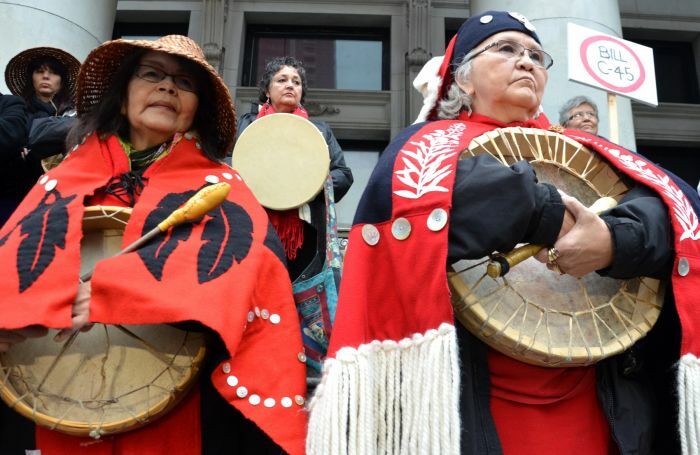 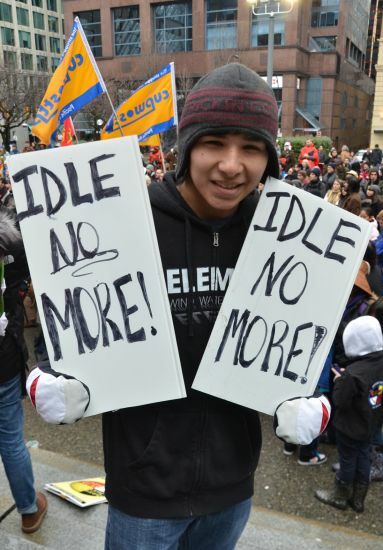 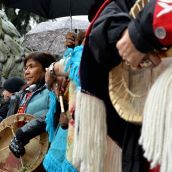 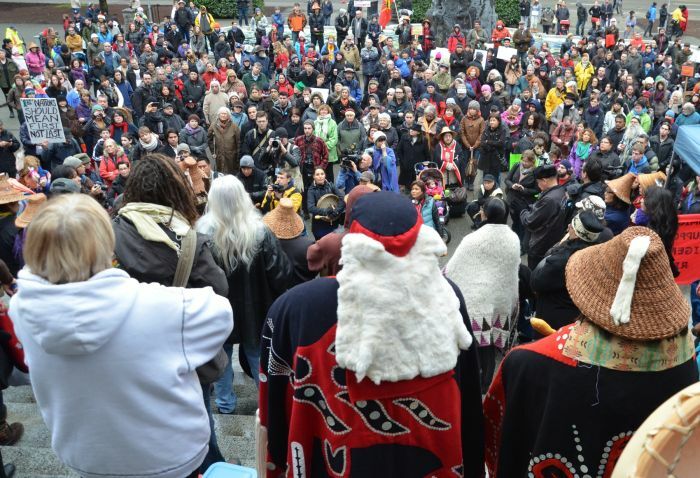 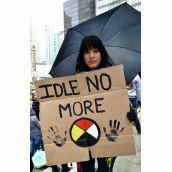 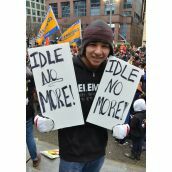 COAST SALISH TERRITORY - Idle No More continued to build momentum today with more than 600 supporters at a boisterous downtown Vancouver rally against Bill C-45. 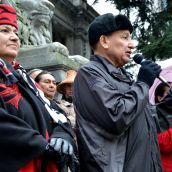 The rally featured First Nations leaders from across the continent and a pledge to continue building the movement against the Harper Conservatives. 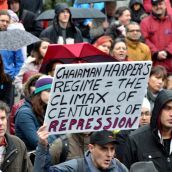 Speakers even thanked Harper "for finally getting us together." 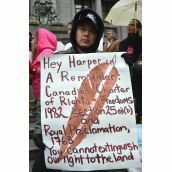 Much of the focus was the Conservatives' Bill-C-45, which wipes out land and treaty rights and ends environmental protection for thoudsands of lakes and rivers. 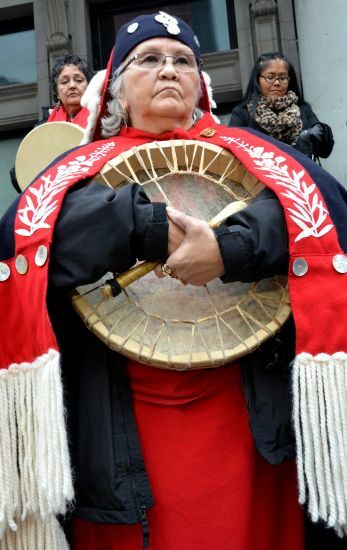 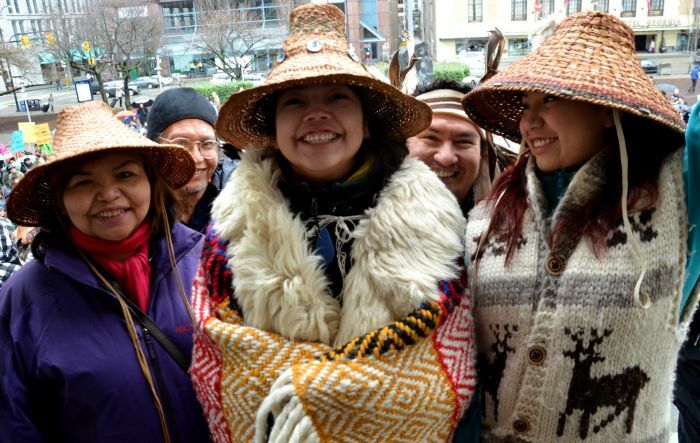 The event was followed by a round dance flash mob at the Park Royal mall in North Vancouver. 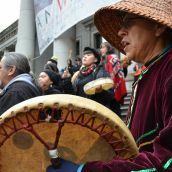 Two similar round dances were held Friday at the Vancouver Airport and yesterday at Metrotown mall in Burnaby. 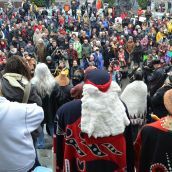 Many videos from each action on this coast on this youtube channel, and more to come. 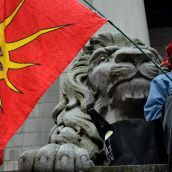 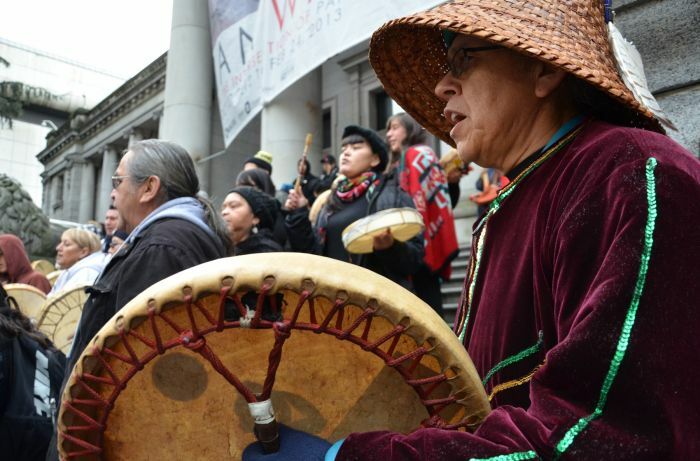 #IDLENOMORE Another large rally held on unceded Coast Salish Territores followed by a round dance, in front of the Vancouver Art Gallery, shows the unity between nations native to these lands and many non-aboriginal communities of allies. 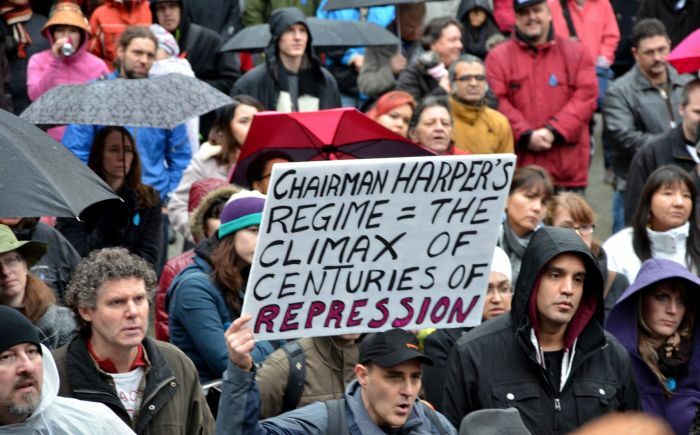 United to stop the anti-people, anti-sovereignty agenda of the Harper Conservatives. 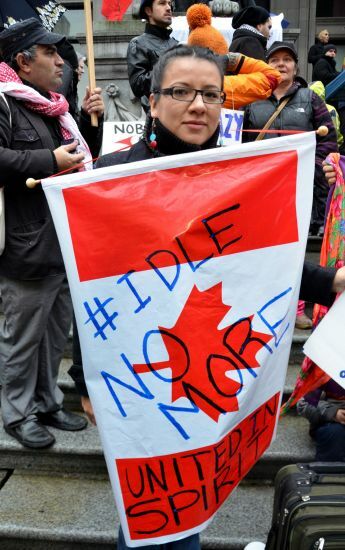 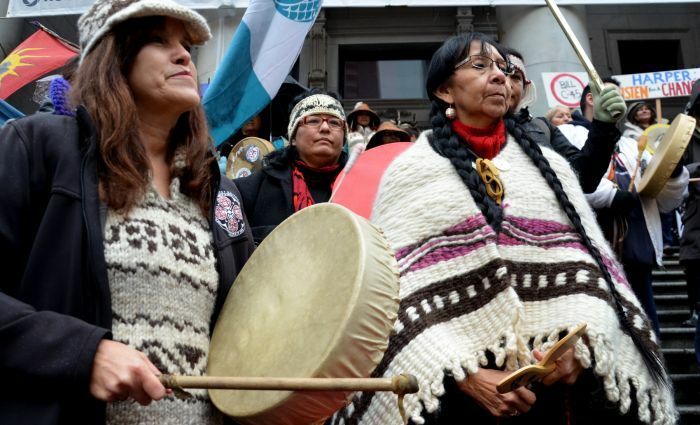 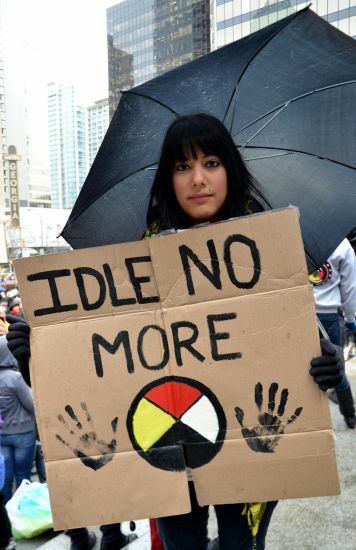 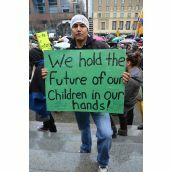 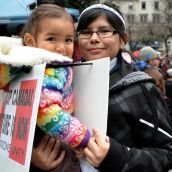 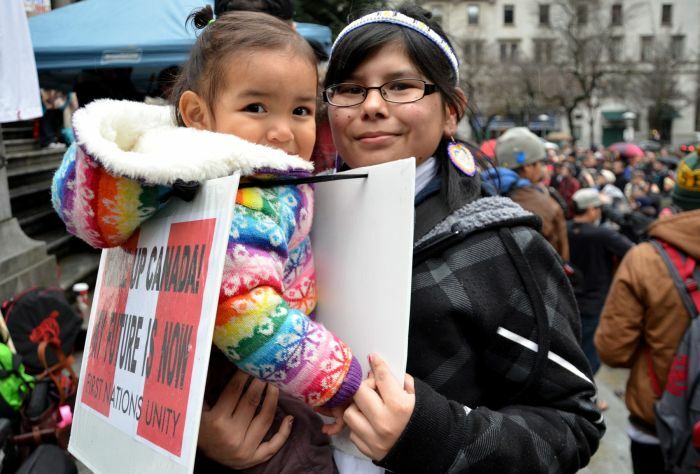 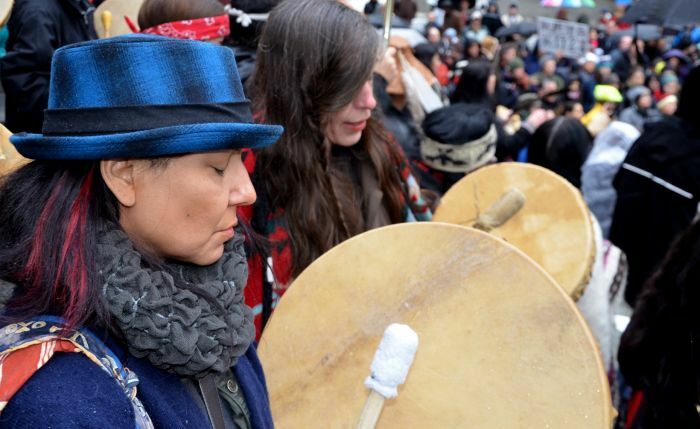 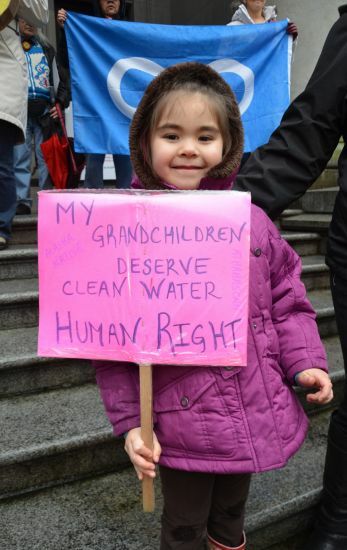 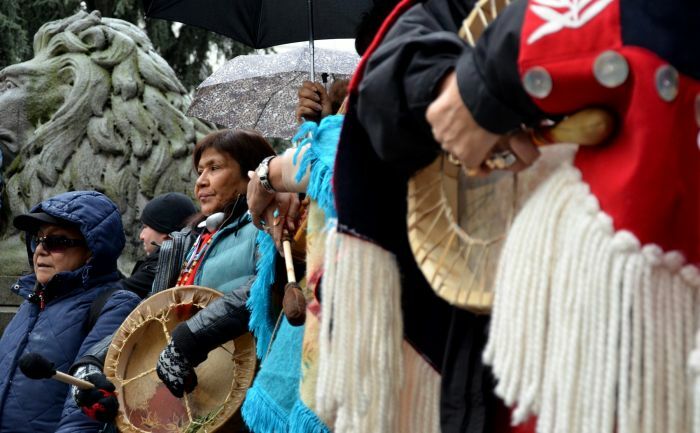 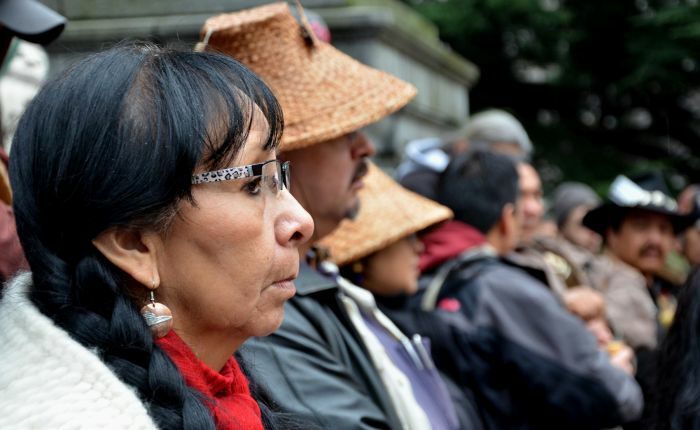 With each day, the Idle No More movement is becoming larger and stronger. 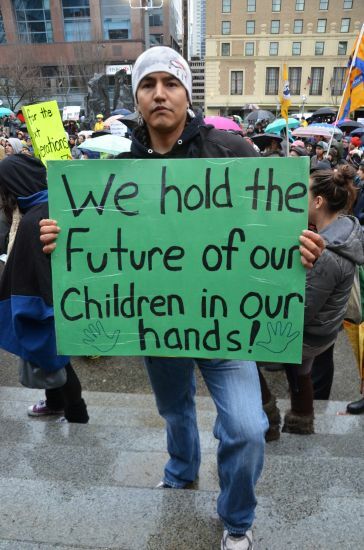 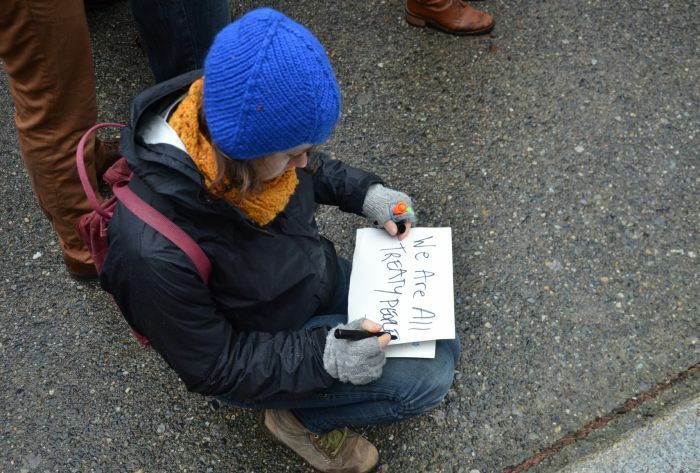 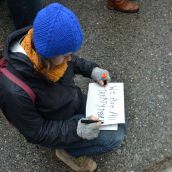 Come to the Peace Arch on January 5th to help push this movement into high gear.